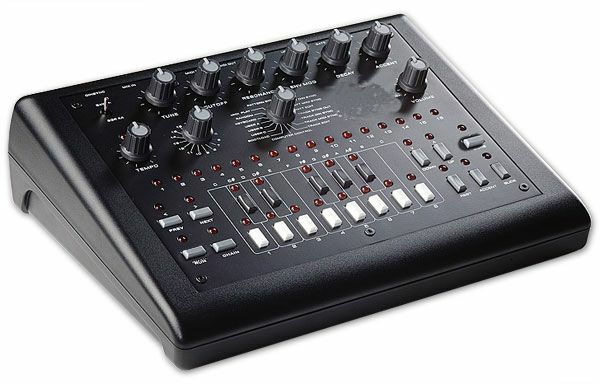 The x0xb0x is not just another MIDI-controlled TB-303 clone. x0xb0x is a full reproduction of the original Roland synthesizer, with fully functional sequencer. The sequencer can be programmed just like the original 303 and can be used to control other synthesizers via any of its various output formats. 128 banks of track memory and 64 banks of pattern memory are stored in onboard EEPROM, no battery-backup is needed! This is an original (Adafruit edition) x0xb0x and is a new build.